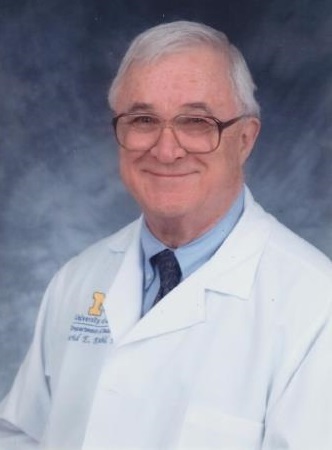 David E. Kuhl, MD, a nuclear medicine pioneer who developed early prototypes of what was to become positron emission tomography (PET), died in Ann Arbor, Michigan, on May 28, 2017, at the age of 87. Kuhl was a founding member of the Society of Nuclear Medicine (now SNMMI), as well as the American Board of Nuclear Medicine. He also organized the Residency Review Committee for Nuclear Medicine and served as its chairman. Kuhl earned his MD from the University of Pennsylvania School of Medicine in 1955 and completed his residency at the university’s hospital in 1962. It was during his time at Penn that he developed a new method of tomographic imaging. In his long career, he served on the faculties of three universities: the University of Pennsylvania (1958-76), the University of California Los Angeles (1976-86) and the University of Michigan (1986-2011). Kuhl was director of the Division of Nuclear Medicine and director of the Center for Positron Emission Tomography at the University of Michigan, which has established the David E. Kuhl Collegiate Professorship in his honor. Kuhl focused his research on neurochemical and metabolic processes within the brain using PET radiotracers, paving the way for better understanding of degenerative brain diseases and targeted drug treatments. His discoveries and clinical translations helped lead to the routine clinical use of PET imaging in neurology, cardiology and oncology. The Kuhl-Lassen Award, named in honor of Kuhl and Niels Lassen, both pioneers in functional brain imaging, is the highest award of SNMMI's Brain Imaging Council. It is given annually to recognize a scientist who has made outstanding contributions to the discipline. Kuhl’s many honors include the Japan Prize from the Science and Technology Foundation of Japan (2009), the Ernst Jung Prize for Medicine from the Ernst Jung Foundation (1981), the Charles F. Kettering prize from the General Motors Cancer Research Foundation (2001), and the Benedict Cassen Prize for research leading to a major advance in nuclear medicine science from the National Institutes of Health (1996). Link to Dr. Kuhl’s obituary.